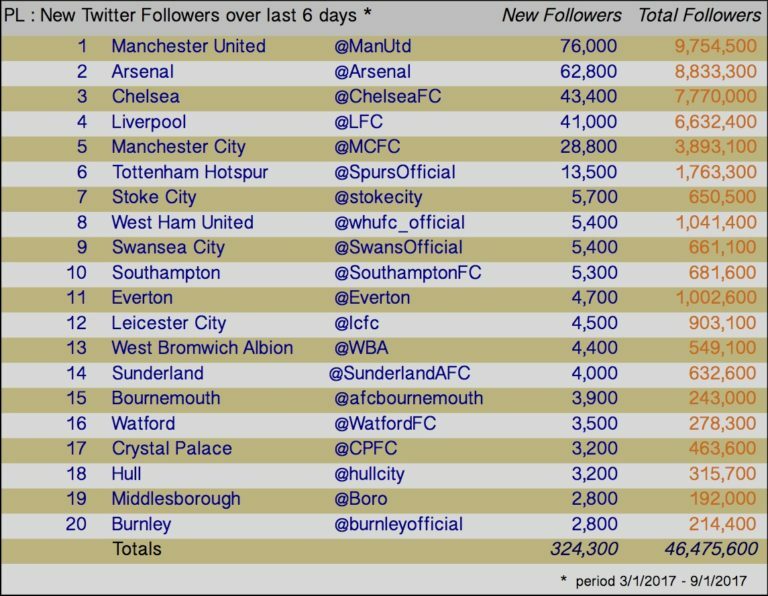 With the Premier League breaking for FA Cup matches last weekend, the clubs’ twitter activity saw a slight decline though the number of new followers to clubs saw little impact with Manchester United putting on 76,000 new followers and Arsenal 62,800. Everton became the eight English club to pass the 1 million follower mark. The ninth most likely to pass this mark looks set to Newcastle Untied. They were relegated from the Premier League and currently lie second in the Championship behind Brighton and Hove Albion. Newcastle’s 977,500 followers and average crowds better than they were achieving in the Premier League last season, is significantly ahead of Premier League Champions Leicester City who currently have 903,000 followers and last week only added 4,500 to their total. Bournemouth had the largest percentage growth over the period – at 1.61% compared to a Premier League average of 0.7%. 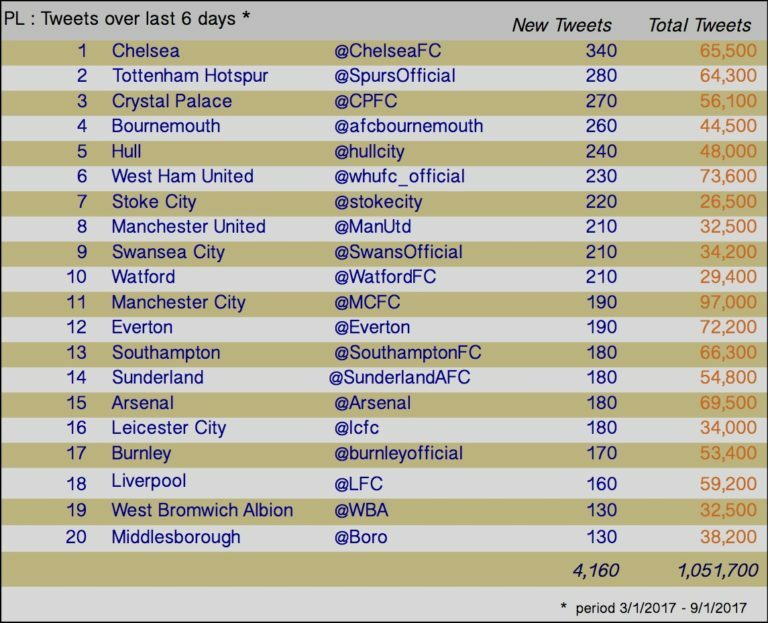 Chelsea were most active in terms of tweets this period with 340 tweets with Spurs second most active with 280 tweets – the Londoners are big tweeters when they are winning. Many of their followers are fake.